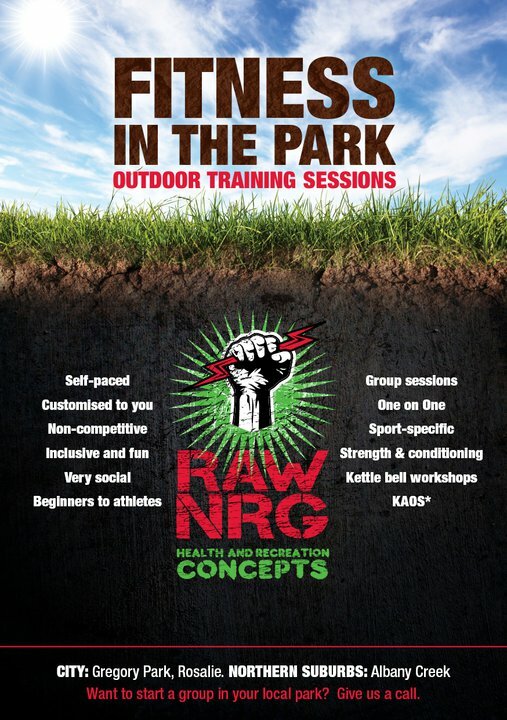 In conjunction with my recent post on Facebook to help Tracy raise money for little Vinnie’s operation, I’m asking all our RAWNRG friends and family to join us for a Fitness in the Park Group Training session.For the first session we will limit the numbers to 50 spots and put a challenge out to all other businesses to join in our cause. Cost is $20 per person but if you wish to make a bigger donation on the day, please feel free. 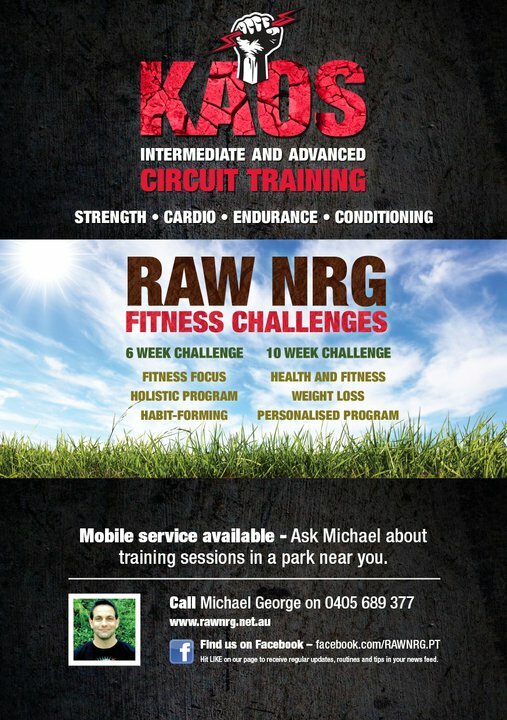 Come and Experience our Military specific Fitness training designed to enhance your physical and mental toughness. 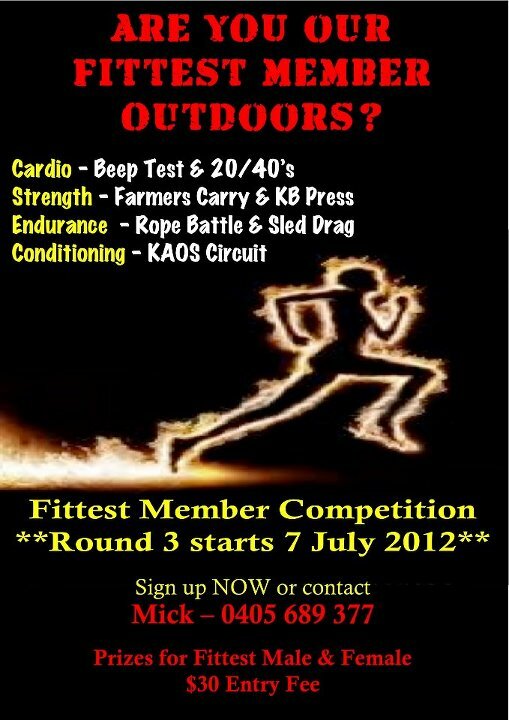 Our personal trainers will put you through your paces!!! 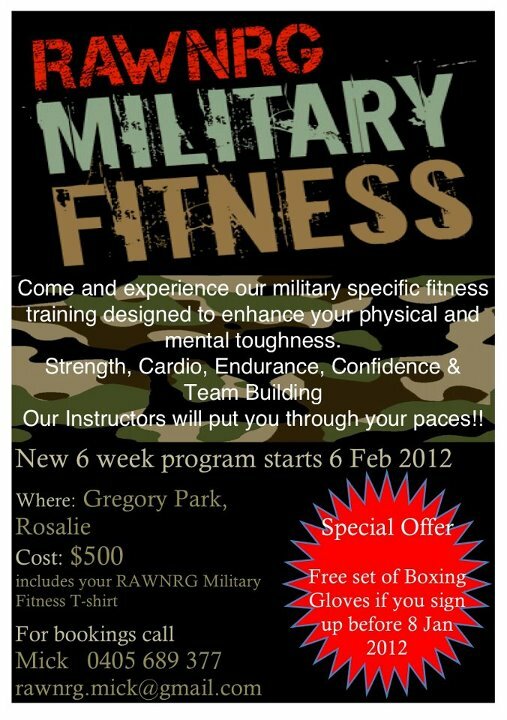 $500 which includes a RAWNRG Military Fitness T-shirt. For bookings refer to Contact Us to either call, email or fill out the form.